He was the beloved husband of Debra Lyn (Welsh) Gendall. He was born on Aug. 2, 1953, in Doylestown, Pa., he was a son of Elizabeth (Glassgow) Gendall of Line Lexington, and the late Gilbert Haven Gendall. Steven began his career as a machinist and later was the owner of The Maple Leaf Motel in North Conway, N.H. He was a volunteer for hospice, as well as for the CASA organization. 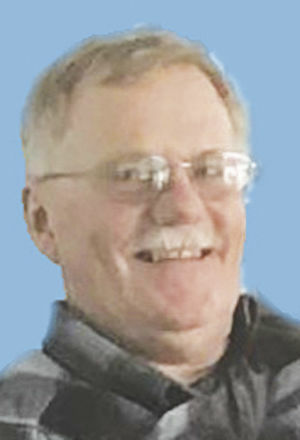 He was an avid hiker and loved being outdoors, especially in New Hampshire. Surviving with his wife are children, Heather Gendall of Red Hill, Pa.; and Kevin Gendall of Pennsburg; grandchildren, Jacob and Jack; siblings, Nancy, wife of Pat Venetz, of New York; Barb, wife of Jim Eyrich, of Pennsburg; and Rich Gendall, of Line Lexington; and many nieces and nephews. He is predeceased by a brother, Robert; husband of Cindy Gendall, of Telford. Services will be Saturday, April 13, at 10:30 a.m. at Chalfont United Methodist Church at 11 Meadowbrook Lane in Chalfont, Pa. The Falk Funeral Homes & Crematory, Pennsburg has been entrusted with arrangements. In lieu of flowers, contributions may be made is his memory to CASA, P.O. Box 1327, Manchester, NH 03105. To offer online condolences, go to his “Book of Memories” at falkfuneralhomes.com.